Cast changes and confirmations have been announced. Due to injury, it has become necessary to make the following cast change for performances of The Royal Ballet's The Age of Anxiety. On 15, 23, 27 March and 6 April Steven McRae will be replaced by Alexander Campbell. On 17 March and 3, 9 April Alexander Campbell will be replaced by Luca Acri. In addition, James Hay joins the cast for these three performances. Was Steven McRae injured and did this necessitate the change of cast? Won't be the same without him! Or was this just a second cast? Still a shame for those with tickets. Steven McRae was indeed injured but Alexander Campbell was brilliant- I absolutely did not mind the cast change at all. 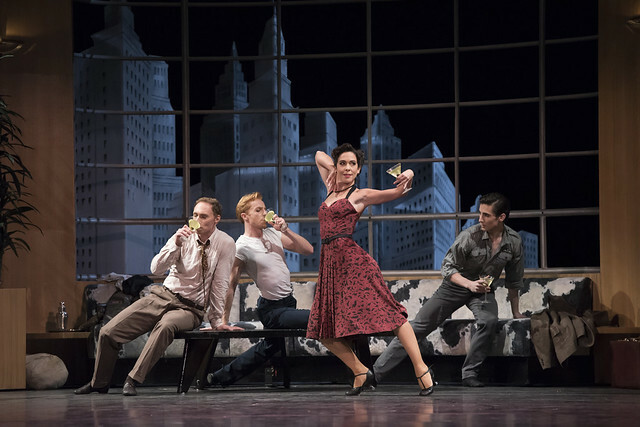 I was very impressed with how the dancers managed the cast changes (there's a lot of intricate partnering) so seamlessly- Sarah Lamb will have performed the ballet with several different partners on different days of the week by the end of the run, for instance Looking forward to Steven's return when he is fully recovered.